After years of being on tenterhooks, it now looks like it will be early next year that we will be experiencing the expected development construction round here. As regards the Blythe Park expansion in Cresswell, the local community-action group (VVSM) did their best again to slow down the process for more appraisal, as they have successfully done in the past, but this time they could not persuade the powers-that-be. The proposal for a roundabout & link-road & giant warehouse was passed by the Staffs Moorlands Council last week. (Check out the details here). What this means is that 2019 will be a year of lots of traffic disruption in Cresswell while the roundabout is constructed. Meanwhile, the other huge development in Draycott area is the one next to the A50 roundabout – the coming ‘Blythe Vale’ housing estate. The developers in this instance, St Modwen, are so anxious to press on with starting preliminary construction works that they have put in an application to use Woodlands Lane as a temporary construction-vehicles road as soon as possible. (Woodlands Lane is the unmade road that starts by the Chandni Cottage restaurant). If they get permission for that – (BB & Forsbrook councillors have already okayed it, but Draycott Council has not yet discussed it) – work on the site will start early next year. So… the year 2019 will see lots of construction & lots of construction vehicles in our neighbourhood. Sigh. 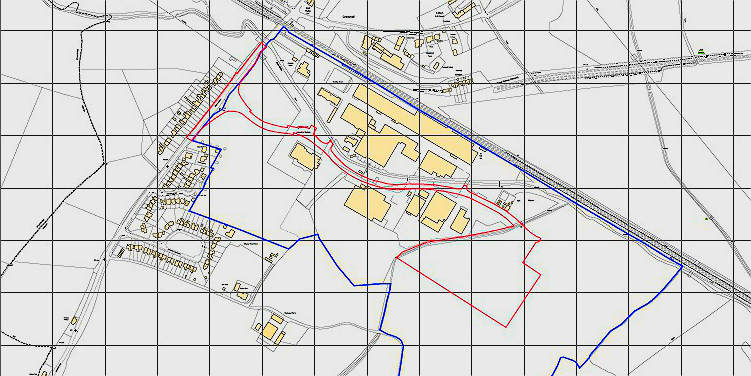 The final piece of planning news is that the application for houses to be built on the north side of the railway line in Cresswell (on Railway Cottages Lane) has been turned down. The SMDC planning department said it would be incorrect to allow development such as this in a quiet spot such as Cresswell. Erm… they clearly had – erm – forgotten (?) about the massive housing estate about to be built just 200 yards away! 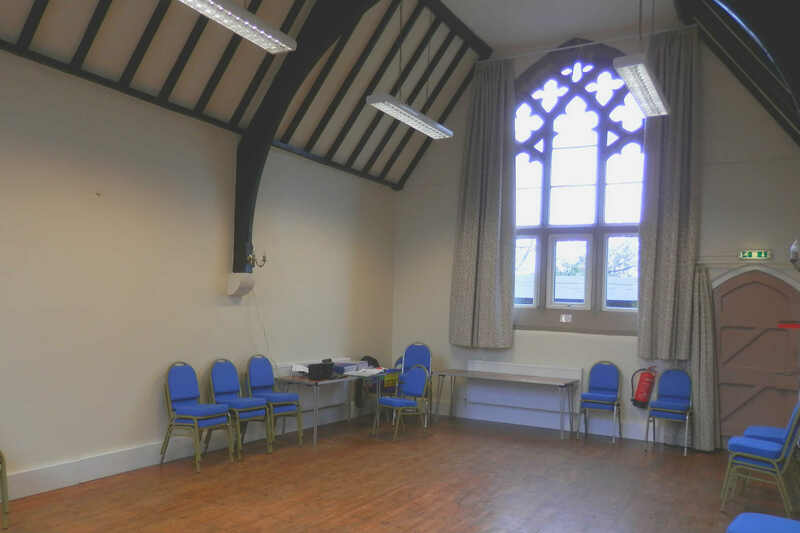 We had the pleasure of having a good look round the Draycott Church Hall the other day. The refurbishments are now all pretty much done, and it’s a credit to everyone involved. The heating is all up to date, and new insulated fire-proof curtains keep the heat in. The kitchen, and the toilet, have been renovated and the whole interior looks bright and airy. Even the lighting has been renovated – there is bright lighting, for meetings, and low light, for parties. Despite the difficulties of the access road, which has a number of potholes, the numbers of groups using the hall have increased as a result. So… the hall is now open for even more business! It would be an ideal venue for a family gathering (there is even a ‘secure garden’ out back for the kids to play in) and the floor is a smooth wood, ideal for a little waltzing (or more energetic styles)! Sixty is about the maximum number it can comfortably hold, but it still looks full with just thirty. There is parking for forty cars. If you’re looking for a ‘happy place’ for your Christmas gathering, why not check it out? (For costs and contact details, click here). Thus, sometime next year, The Draycott Arms (should it now be called The Draycott Inn??!) will be able to offer four B&B rooms. Zara & Brayn are a hard-working young couple with great ambitions for this village – so we think it’s great news. 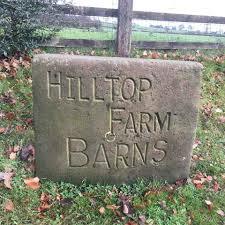 The Draycott Arms is not far from Hilltop Farm Barns, where Nola and Bill run the other Draycott accommodation. The farm has its large Horseshoe Cottage for hire as a self-catering holiday home; it has three bedrooms and so comfortably sleeps 6 people. In fact, if you fancy a peek at Horseshoe, Nola & Bill are holding their annual Christmas Get-Together Morning in a few weeks’ time (see What’s On page for details). The event raises money for repairs at St Margaret’s Church, and all are welcome. Some of us were quite shocked last month when a Draycott resident, Barbara Fielding-Morriss, got a one-year jail term for ‘inciting racial hatred’. Ms Fielding Morris, who once stood for election as an MP, expressed her unpleasant views about Jews in her writings and publicity. At first, twelve months in jail seemed an excessively harsh sentence for a 79-year old lady, whom many of us just viewed (frankly) as a bit of a crank. But, talking about it in the local pub, it was brought home to us that words can be as dangerous as anything else, because they inspire others to do harm. What happened was that someone at the bar reminded us that, only last month, a man with a gun had attacked a Jewish congregation in America, killing eleven people, shouting that he hated Jews. To most of us, racism just seems barmy, so we often don’t take any racist views we hear very seriously – but, as this case demonstrates, the courts rather think we should. This entry was posted in business, crime, development, leisure, planning and tagged Blythe Park development, Cresswell roundabout, Hilltop Farm Draycott, Railway Cottages Cresswell. Bookmark the permalink. Thank you for your kind words and support from all of us at the Arms. We hope that this time next year we will be ironing sheets as well as napkins! We hope that we can work supportively with Nola and Bill to build on the Draycott Tourist Industry. Perhaps we will be invited to host some of the building crews coming to work in Cresswell!!!! !